Both Theresa May and the Chancellor Philip Hammond have been accused of selling out the fishing industry in order to seal a Brexit deal [The National / Telegraph]. However, the suggestions that UK fishermen might not win waters back after Brexit has been on the table for some time. Indeed a memo published in early 2017 and obtained by the Guardian says that many agreements relating to the CPA would remain in place in order to keep to commitments on sustainable fishing [Guardian]. Such suggestions might be difficult for many Brexiters to swallow [Channel 4 News]. Indeed Nigel Farage was screaming "betrayal" as it was suggested the UK might make concessions or apply 'reciprocal arrangements' [Express]. But there may in fact be no deal at the end of all the the wrangling given the rhetoric and and statements coming from both sides in the last few weeks. Donald Tusk and Michel Barnier have consistently stated there will be no cherry picking or bespoke deals, whilst backed up unanimously by the EU 27. Meanwhile Theresa May [Channel 4 News], David Davis and Philip Hammond repeatedly makes speeches setting out unrealistic visions which boil down to just that; cherry picking. The UK fishing industry and the Common Fisheries Policy became a divisive issue in the referendum campaign. There are certainly inequalities and the CFP does need an overhaul. For example under the CFP, overseas fishing fleets can actually catch more of certain fish in areas of UK waters than British fishermen [BBC]. Whilst partially true to say the CFP has affected the British industry it is not the whole story. Indeed overfishing in general has affected the industry across the board [Full Fact]. But will Britain be any better outside the EU? Currently some 75% of home-caught fish is exported - and majority of fish eaten by Britons is imported, mainly from Europe [This is Money]. Britain imports big quantities of prawns and tuna from the EU, while its main fish export is mackerel which is caught primarily of the Scottish coast. But this situation could be turned upside down if tariffs were to be imposed on such trades. As Britain heads inexorably towards a WTO Brexit the likelihood of punitive tariffs looks ever more likely. Some 666,000 tonnes of fish was farmed and caught in the UK in 2014, of which 499,000 tonnes [75%] were exported, and 66% of those exports went to the EU. Meanwhile the UK also imported 721,000 tonnes of fish, 32% of which came from the EU. Under WTO rules fish and crustaceans, molluscs and other aquatic invertebrates are subject to an 11% tariff, meaning the UK could lose some £92 million of the average yearly £840 million worth of exports [in 2015] sent to the EU [Source: ONS, WTO, Independent]. Figures and statistics do vary of course. The FT reported that Britain exported £921 million of fish [including £224 million salmon] to the EU in 2015, whereas total landings - the amount brought to the UK - were worth £775 million. Nonetheless, the figure is certainly substantial. There is also an uncomfortable trend in that fish imports to the UK have increased since 2003 as exports have decreased [BBC]. In plain terms this will mean that British consumers will be paying more for their fish and chips while Britain's fishermen will be struggling to sell their fish to a market which would be put off by tariffs. For Britain's fishermen this could prove devastating. And chances of government help are unlikely. Fishing is worth £1.3 billion to the UK economy and employs 34,600 people. However in percentage terms it is only a tiny part of the UK economy, contributing less than half a percent to annual GDP. For government any decision to help an ailing industry would be an economic rather than an emotional one. And with the noises currently coming from Westminster concerning the British car industry and financial services make clear that fishing will be last on the list of priorities. After Brexit it was claimed Britain would be able to "take back control" of its territorial waters up to the 200 nautical miles currently allowed by the CFP. 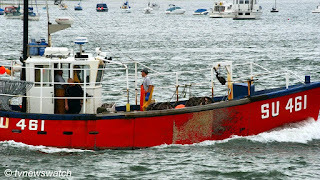 However the English fleet traditionally catches its fish in Irish, French and Norwegian, as well as UK, waters. 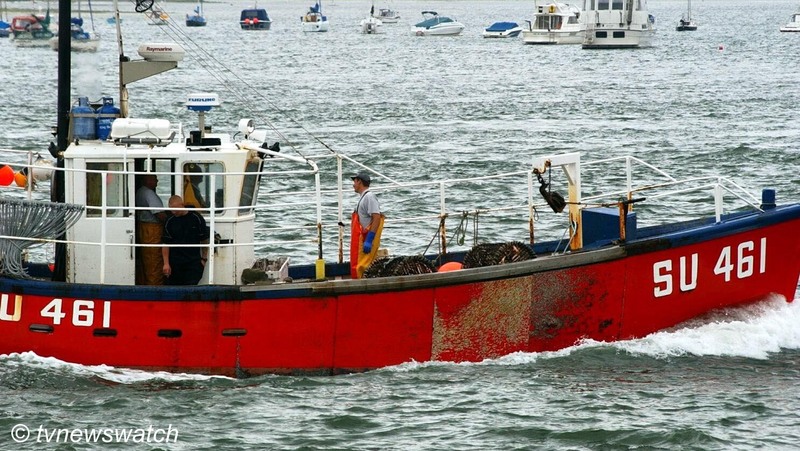 Should no deal be made UK fishing boats will be hemmed in and unable to fish some of its traditional fishing grounds. Meanwhile British authorities will once again face the issue of policing Britain's waters [BBC]. As in many other aspects of the EU negotiation, Britain could refuse to do a deal and go its own way. But the British government would need to consider the consequences of such a move. The breakdown of any agreement would probably lead to overfishing and the depletion of stocks. It would result in the imposition of tariff barriers. Above all, the British would have to ask themselves whether they could effectively patrol and defend UK waters against fishing boats from EU states. Given these constraints, Britain has little room for manoeuvre in negotiations over post-CFP arrangements. The UK fishing community may emerge from Brexit in a weaker position than it expects.